We finally started our garden! I can't take much credit for it though. Pat did all the research. 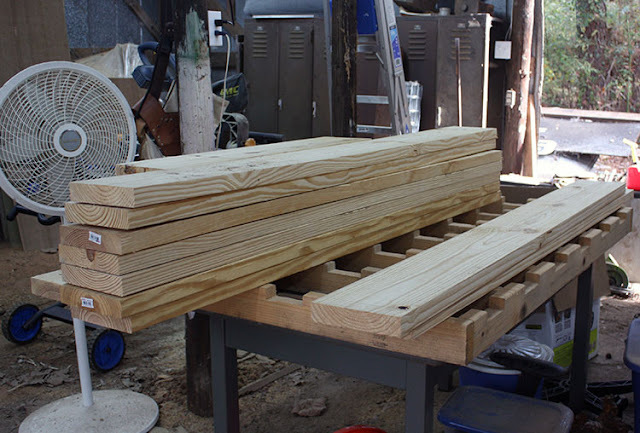 He decided raised beds would be best and then built those babies. 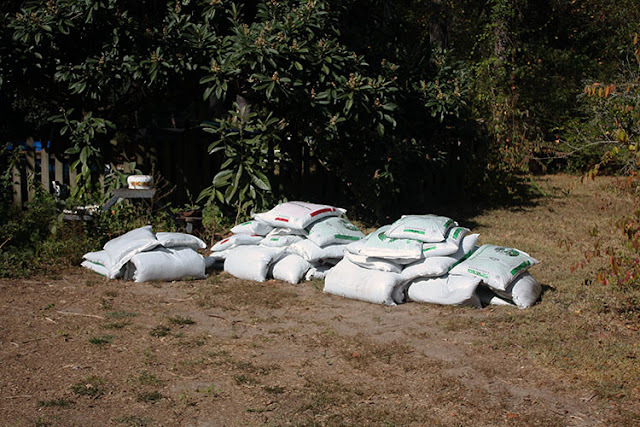 He figured out what the soil mix should be and ordered all the supplies. For my part, I helped choose what we would plant. We're not even super sure we've done it all right. Several of the seeds that should have probably been started inside. However, since we started late, we just stuffed them all in the ground. We'll be happy if anything grows at all. The heat and lack of rain this autumn also has me concerned. I'm going to do my best to keep everything watered while we take this on as a learning process. We planted broccoli, cauliflower, brussel sprouts, red and yellow onions, garlic, carrots, mesclun (salad mix), kale, and spinach. 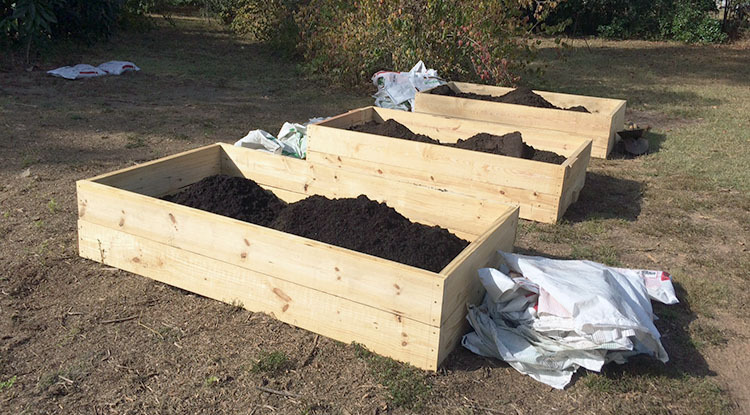 The raised beds are 3 ft by 6 ft and contain nine bags of top soil, 3.5 bags of compost, and 1.5 bags of potting soil. We dumped them all in, then lightly mixed and fluffed - making sure not to pack the soil. Into each box was planted three rows of plants. I sorted them into leafy greens, root vegetables, and other vegetables. 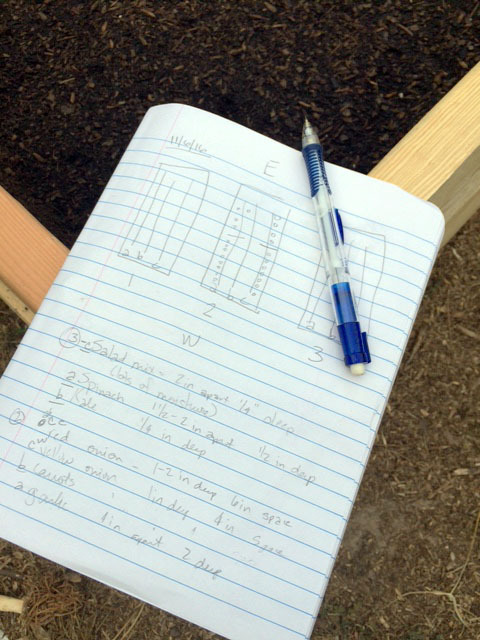 We even started a garden journal to keep track of what was planted, where, the weather and water schedule, and what works, along with any other pertinent information. It's just a composition notebook I had on hand. I hope to gussy it up (the cover at least) a bit later. 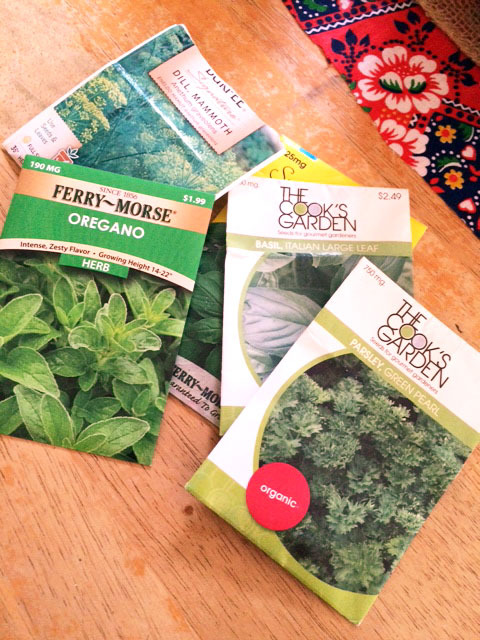 I also plan on starting a little herb garden and making plant markers from recycled materials. One thing at a time though. For now, I'm just trying to be patient and see what becomes of our little garden. Got any tips for a gal with a black thumb? I linked up this post at The Homesteader Blog Hop. That dill shouldn't grow now I don't think, it's a summer herb. Those beds are amazing, how awesome. Your posts are always pretty, Hope. Millie, Thanks so much for the tip. I haven't looked at the planting schedule for the herbs yet. I think I may want some more/other ones as well. I appreciate your kind words. Thank you!! I still don't know the growing seasons here. When we lived in PA, we always grew our own tomatoes either in a raised bed or in containers on our deck. 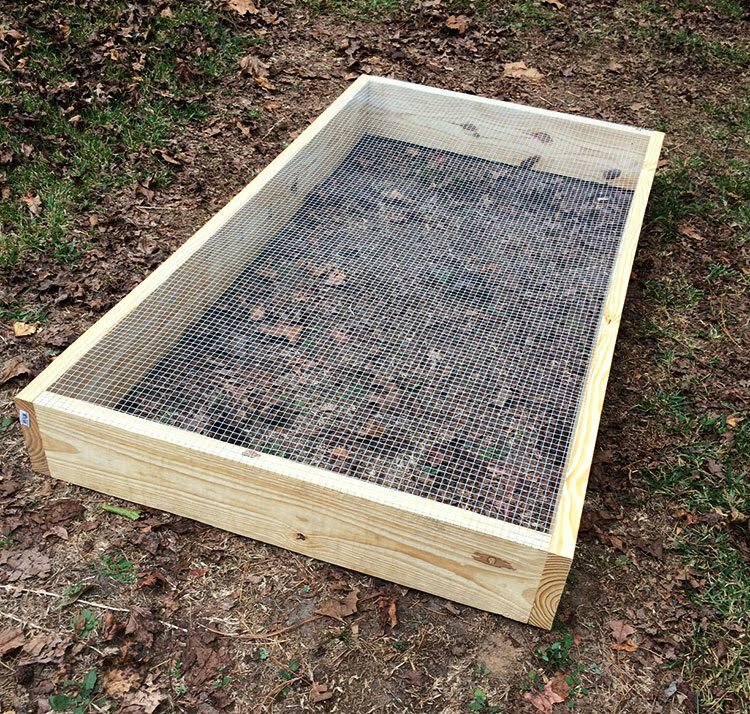 We tried growing other things too but we always had to battle critters...squirrels, chipmunks, rabbits and groundhogs. They either ate the seeds or the veggies. I hope your efforts prove to be successful. 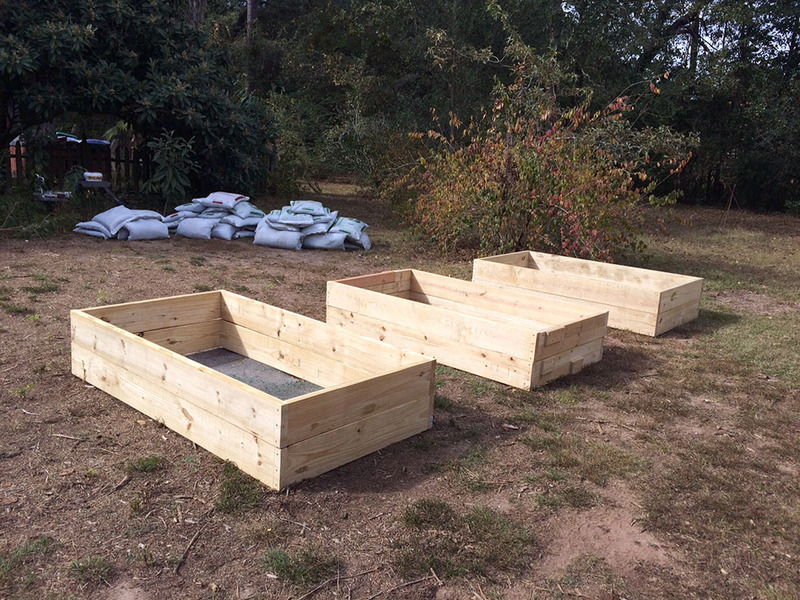 The raised beds look great! 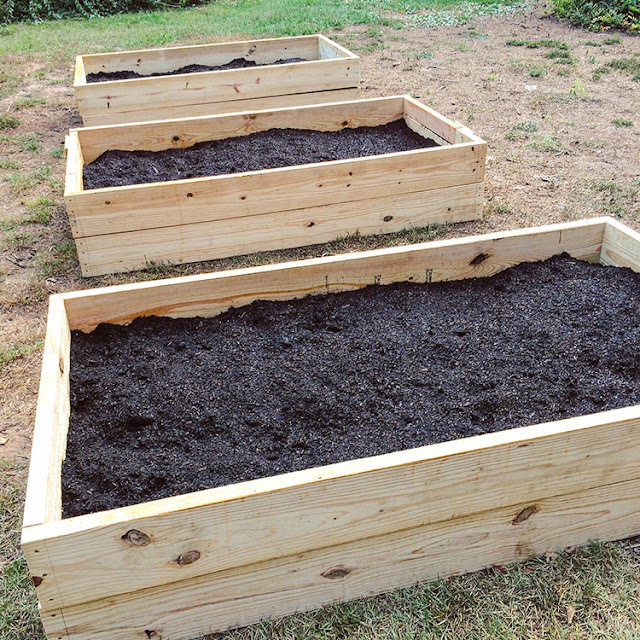 Wonderful raised beds you made! Good luck with growing stuff -- are you getting any rain at all down there? We are not, and can only hand water one day a week, and no car washing.